We cover the whole of the North West! If you need a locksmith you need look no further. Expert advice and excellent workmanship. Plus superb customer service..
Fast friendly reliable service at a reasonable price, I can highly recommend this company. Many thanks from Cheshire craft workshop & many other tenants on Blakemere village. I used AXS locksmiths for extra child safety locks putting on my windows and I couldn’t fault them. Fast and speedy response and excellent job all around. So thank you! Highly recommended company and service. Arrived early and always phoned ahead of his arrival. Fast efficient service, clean, tidy with minimal disruption to my family and household. I will be defiantly using this company and their services again and will be recommending him to all my family and friends. The mechanism in our back door jammed and we couldn’t get in or out. We also had a couple of dodgy window locks. We called AXS, Rob got back to us in the hour and called round later that day. He summed up the problem, gave us a rough estimate and got on with the job in a really helpful and professional way. He charged a very fair and reasonable price. I could not recommend his services more highly – a true gentleman who takes a pride in his work! A great company. I was in a pickle and gave them a call. A locksmith was at my house that same day, and he diagnosed and fixed my problem quickly and efficiently. The service was second to none, and all in a friendly manner. Also, the price was really fair! Will definitely use again if needed. Thank you to AXS. Speedy, efficient and professional, oh and a pleasure to deal with. Can’t recommend you highly enough. Thank you for saving our bacon!! 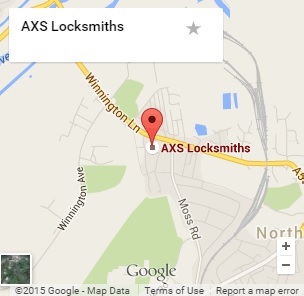 Just been saved by AXS Locksmiths. Got locked out of our house and we were back in within 20 minutes of making the phone call. Super fast! What a pleasure dealing with Rob from AXS locksmiths! He provided a speedy, friendly and thorough service from start to finish. Highly recommened! !